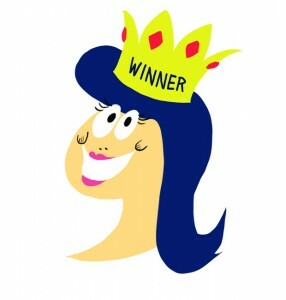 CONGRATULATIONS to my Newsletter Release Day Giveaway Winners! Thank you to my newsletter recipients who participated! Ladies, please send your preferred ebook retailer (Amazon, B&N, etc) to me at candis.terry@yahoo.com and I will get your book ordered right away! If you didn’t win, I hope from the bottom of my heart and soul you’ll grab a copy of TANGLED UP IN TINSEL! 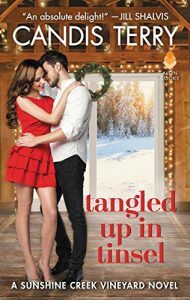 It’s RELEASE DAY for TANGLED UP IN TINSEL and I’m CELEBRATING! 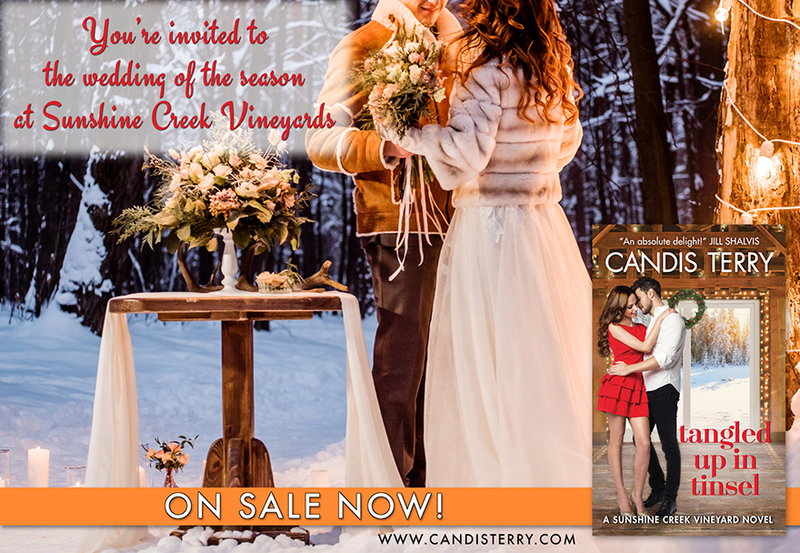 Book three in the Sunshine Creek Vineyards series has everything you need for a romantic holiday read plus delicious recipes taken right from the story! Vicki H and June Rogers, please email me at candis.terry@yahoo.com with your email address, your preferred ebook retailer and your mailing address so I can get your prizes to you pronto! Laurel Chevlen, Roberta C, Jackie Wisherd, Victoria Goldy-Rhodes, and Sheila, please email me at the same address with your email address, your preferred ebook retailer so I can get your books ordered! Thank you for helping me celebrate my book release! Please bear with me a moment while I tell you why I’ve been inspired to write so many romance novels starring military heroes. The simple answer is because I live in a military town where I’m lucky enough to regularly cross paths with the brave members of the Idaho Army National Guard at Gowen Field and Mountain Home Air Force Base. The more composite answer is because I see THEM. I see their spirit, their families, the way they interact with their wives, husbands, children, and community. I see the courage it takes for them to pack up their gear and go fight a war in another country thousands of miles away from the ones they love. I see what it’s like for their families to stay at home, keeping the home fires burning, and praying that their loved one will return safely. I have many friends and family members, including my own father, who have made sacrifices and sometimes the ultimate sacrifice to defend our country. And I’ve seen what it’s like when our soldiers come home broken in body and spirit. Living in a military town, I’m reminded daily of the bravery and the honor code these men and women live by every hour of every day. They make me so proud to be an American. So how could I not be inspired to write stories with military heroes and give them a happily every after? 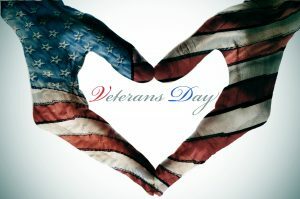 So today and every day, from the bottom of my heart, I want to say thank you and Happy Veteran’s Day to all the men and women in all the branches of our military. And on a personal note, thank you for all the A-10 and F-15 flyovers over my house! Nothing short of exhilarating. Keep them coming! I can’t tell you how many times I hear this from readers I meet in person. Some, I can tell, are just saying the words. Others have a real spark in their eye. So what stops them from actually sitting down and writing a book? Fear of criticism. Fear of the time involvement. Fear of facing weaknesses within themselves they’re not ready to or don’t want to deal with. In every person there is a story. Whether yours is meant for publication for the world to see or just your own personal family to enjoy, you each have something to tell. As the old saying goes “Rome wasn’t built in a day” neither does a book need to be written in a day. Even if it takes ten years to finish, along the way you’ve made progress and you’ve completed a story that someone will want to hear. My mother had an incredibly interesting and often sad life story. But it was also encouraging because of all the obstacles she overcame and the inspiration she was to many. I lost count of how many times she said “I should write a book.” I’d encourage her to do just that. I bought her numerous blank journals for jotting down her thoughts. I told her she didn’t even need to write them all down in order. Just get them put down on paper and we could sort it out later. I offered to help her accomplish this goal. I’m sad to say she never did. It’s now three years after her death and I’m still so sad that there are many things I didn’t know about my mom because she never wrote them down. And believe me, she had a lot of interesting things happen in her day. She was born before the great depression and she passed away in the era of the internet. She went from barely having a radio to having all the knowledge she needed right at her fingertips. She went from helping her grandfather plow his agricultural fields in West Virginia to buying frozen instant potatoes in Idaho. But I’ll never know what she did on a rainy night in that old cabin she lived in with her grandparents. I’ll never know how she got that job waitressing in a Las Vegas casino in the Howard Hughes days. I would have known if she’d written that damn book! 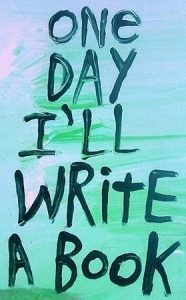 So I encourage you, even if you don’t inspire to write a fictional book, put your fingers to the keyboard and write something. Because I guarantee it will mean a lot to at least one person. And that is quite an accomplishment. Come to the Ever After Authors Halloween Facebook Party Friday, October 28, 2016 from 8:00-10:00 pm ET and find out! My good friends and fellow authors Jennifer Bernard, Samantha Chase, Erin Nicholas, Melanie Shawn and I have a spookishly good time planned and giveaways too! I Love My New Book Cover! I honestly don’t know how I’ve gotten so lucky, but I have the best book covers! This is the cover for my next book in the Sunshine Creek Vineyard series (available February 2017). The story is a super fun one with a hero hellbent on never crossing the line between boss and employee, and a heroine who will do anything she can to break him from the stuffy life he’s chained himself to and show him a little fun. It involves a California coast road trip, Fireball shooters, karaoke, and dancing in the rain. I hope you’ll check it out.